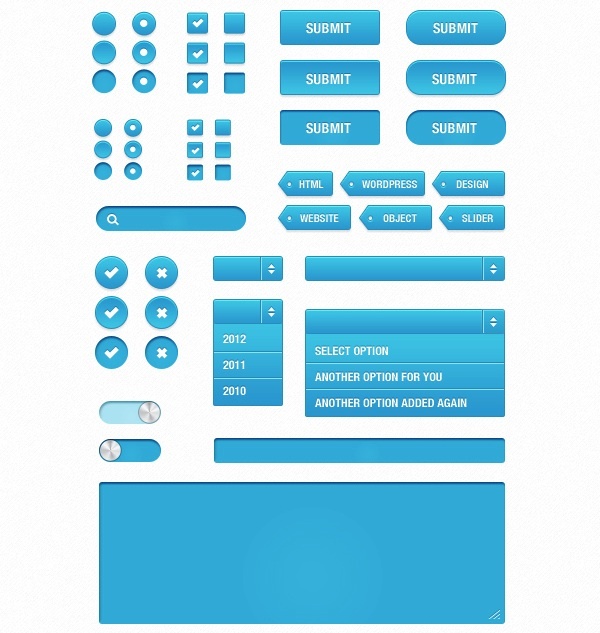 Media Black UI Kit is a black and blue UI set and contains graphic elements suitable for any sort of media elements, such as video and audio players, along typical navigational items. 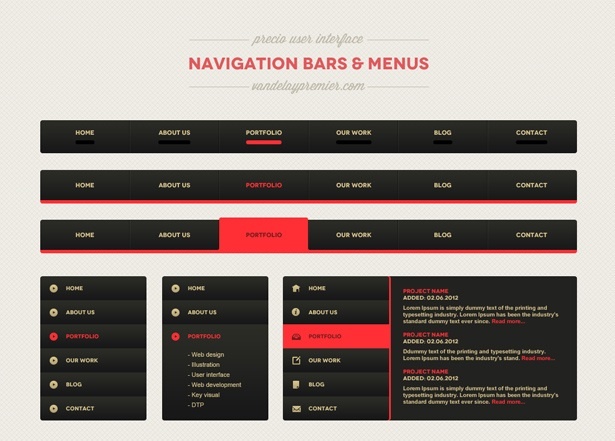 The PSD file is offered exclusively for Webdesign Depot subscribers. 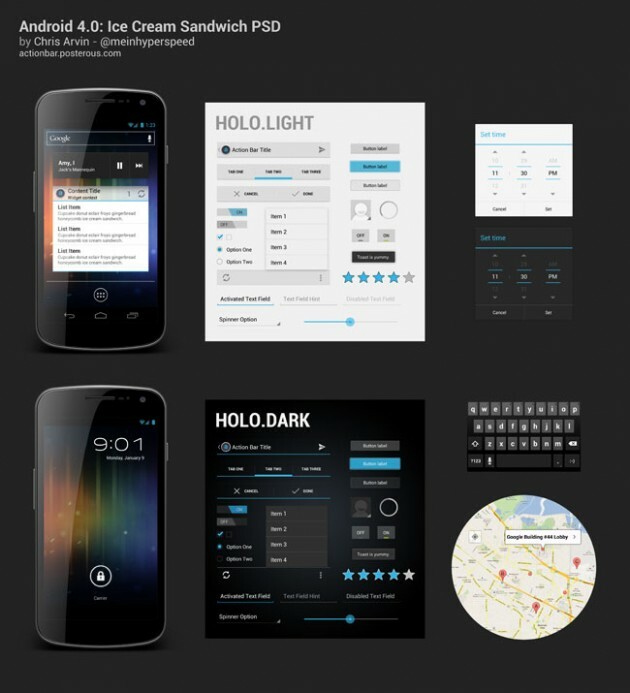 Sky is a simple blue UI pack, designed by Michael Reimer. 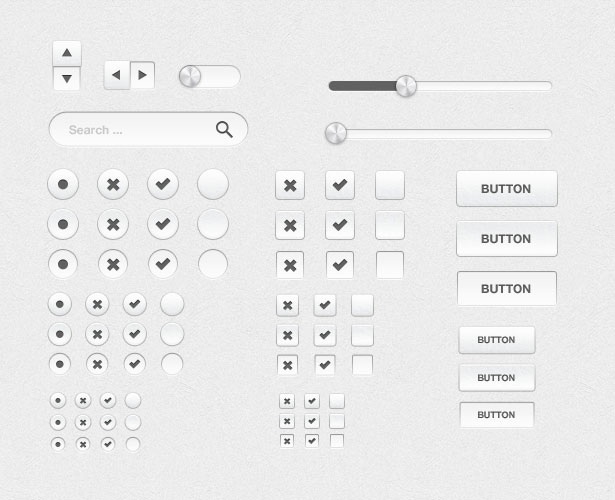 It contains all the common form elements, as well as other items like progress bars, progress gauges, rating stars or tags. 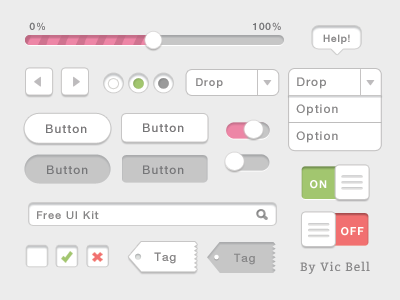 This UI kit has been designed by Vic Bell and made available via Dribbble. 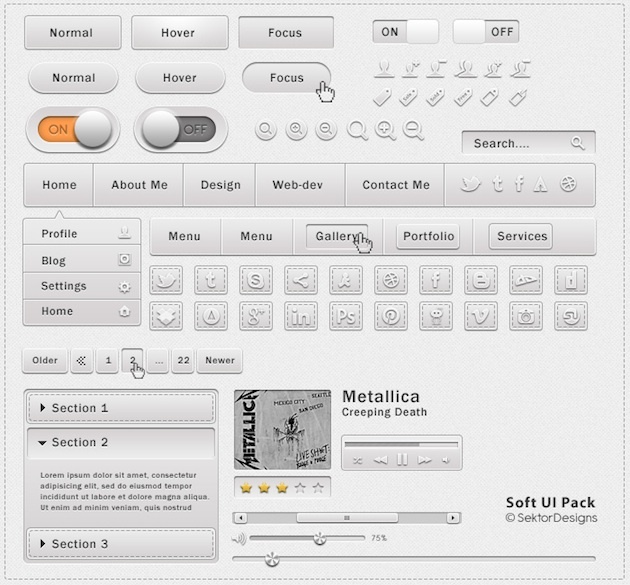 The Precio UI set, released by Vandeley Design, contains over 200 elements like navigation menus, buttons, ribbons, badges, infographics elements, comment boxes, pricing tables, form fields, media player elements, dividers, progress loaders, ratings elements, calendars and timers, notifications, login forms, testimonial boxes and more. 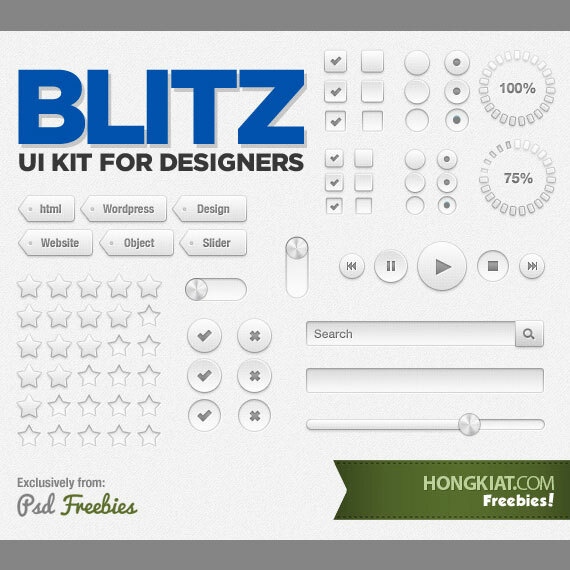 Blitz UI is a silver-white interface pack, containing checkboxes, tags, buttons, menus, sliders, switches and much more. 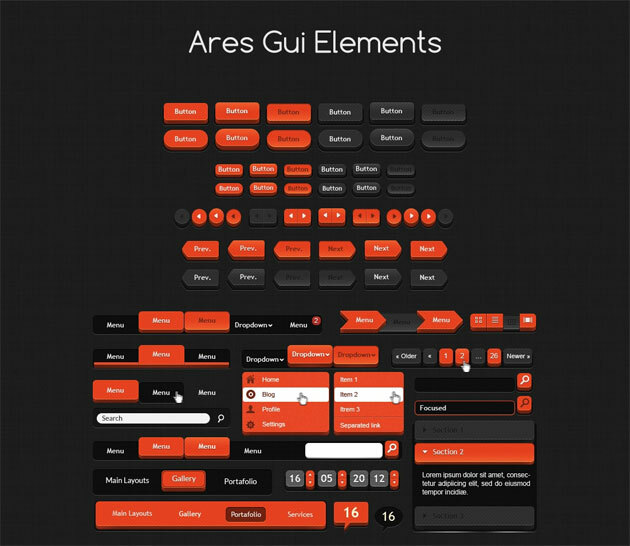 Design Shock releases Ares, a huge GUI interface set, with 3D accents, containing over one thousand elements. 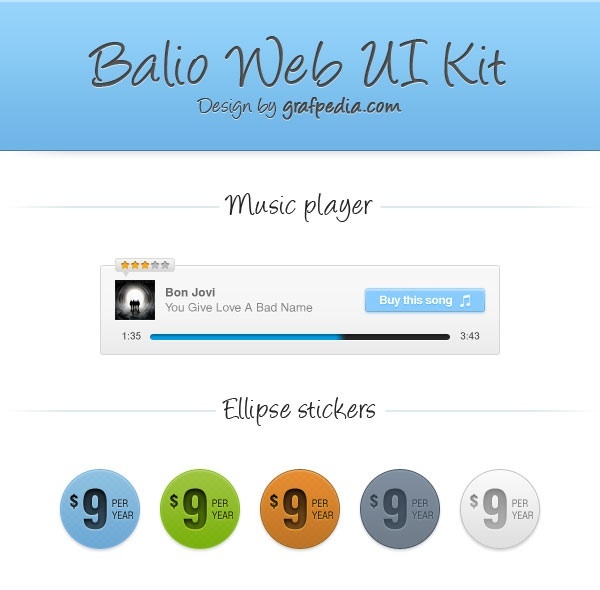 The set is available in several colors.